Forget about watching a scary movie to get you in the mood for some cheap thrills and sleepless nights while you watch scenes of horror. 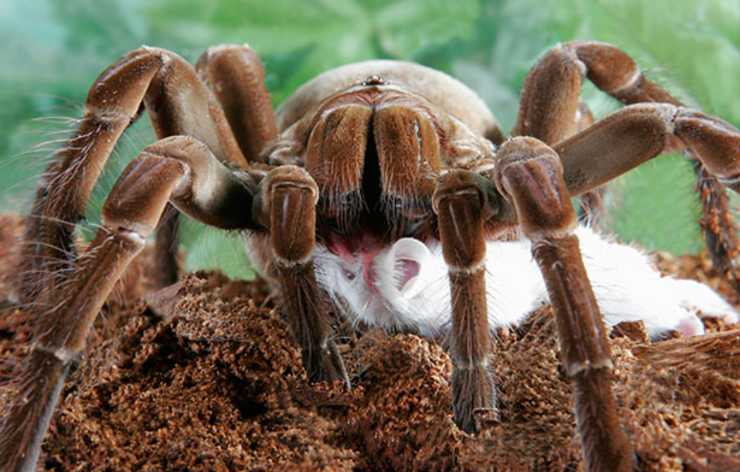 All the nightmare fuel you could possibly ever need is present in the form of the Goliath birdeater spider. This beast has recently captured (terrified?) the internet's imagination at the end of last year after scientist Piotr Naskrecki recounted his experience of coming into contact with one in the Guyana rainforest to Live Science. It sounds like something that you'd never, ever, ever, EVER! want to happen to you, even if you were an entomologist (study insects) at Harvard University's Museum of Comparative Zoology like Naskrecki is. Although he's remarkably upbeat about the whole experience. "I was lunging at the animal, ecstatic about finally seeing one of these wonderful, almost mythical creatures in person." he writes on his blog. 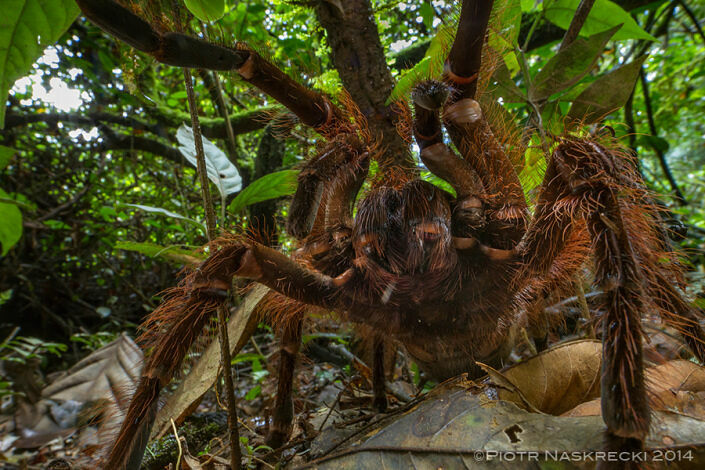 Just to give you some idea of how harrowing such an encounter would be for everyone else, the furry brown horror story of a spider is the largest spider on the planet. It's the size of a puppy, a puppy with 5cm fangs and legs which are a foot (30cm) long. 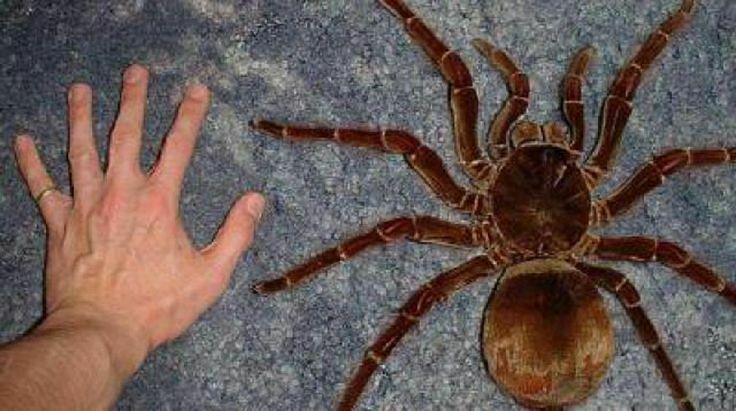 If that isn't enough to make you want to jump on a spaceship and flee the earth, also, due to having hard claws on the tips of its baby-arm-sized legs, it makes a clicking sound akin to a horse's hooves when it walks. Dear. God. 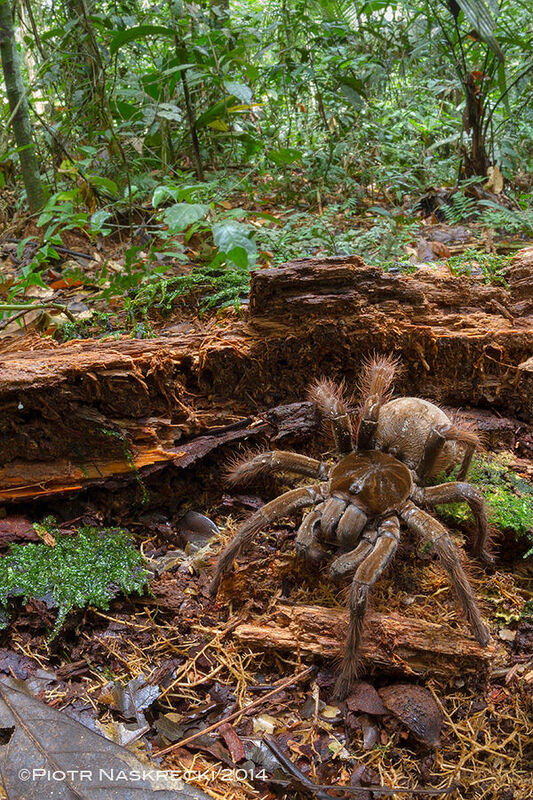 Because of its gargantuan size, the Goliath birdeater is probably the only spider in the world that makes noise as it walks. Its feet have hardened tips and claws that produce a very distinct, clicking sound, not unlike that of a horse’s hooves hitting the ground (albeit, admittedly, not as loud) (via). 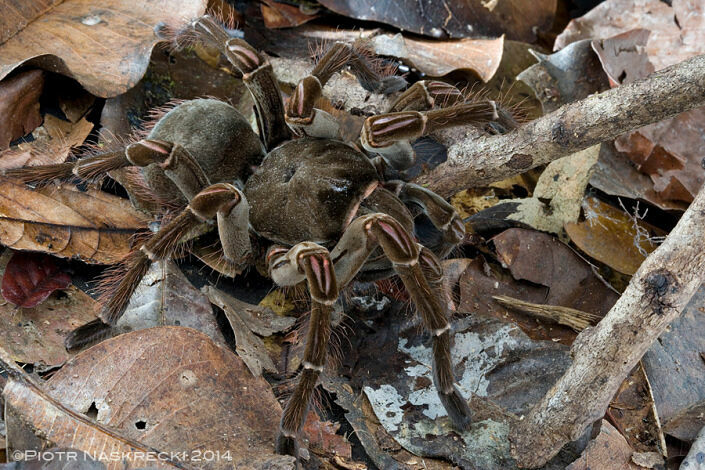 Naskrecki also notes on his blog that while extremely venomous, the "venom of a birdeater is not deadly to humans but, in combination with massive puncture wounds the fangs were capable of inflicting, it was definitely something to be avoided." Yeah, I'd say.